Crunch keywords from various web or local sources. Is there a better alternative to SKWR? Is SKWR really the best app in Developer Tools category? Will SKWR work good on macOS 10.13.4? 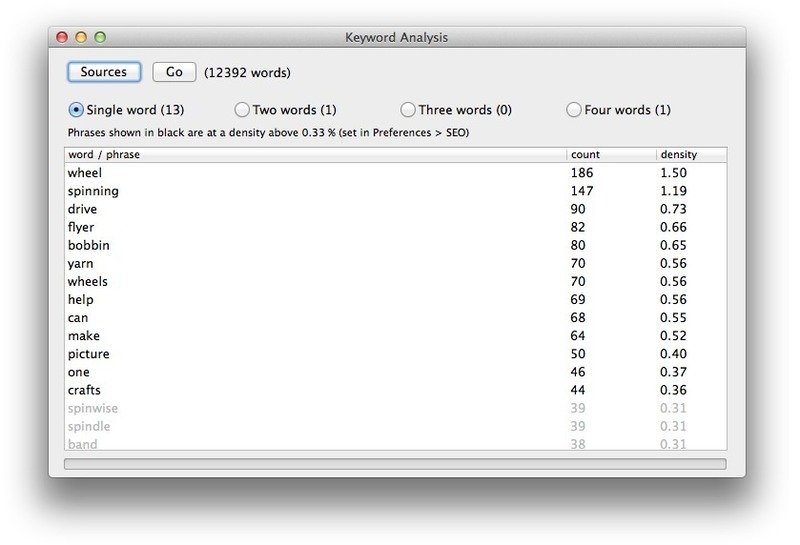 SKWR is the keyword analysis (keyword stuffing) tool from Scrutiny built standalone and with more flexibility as far as its input data is concerned. You can compile your own list of web pages for scraping, you can try a search term and let the app search the web and check out the search engine results, or this could provide part of a workflow with another app writing a file (either content or a list of urls) for SKWR to crunch. SKWR needs a review. Be the first to review this app and get the discussion started! SKWR needs a rating. Be the first to rate this app and get the discussion started!